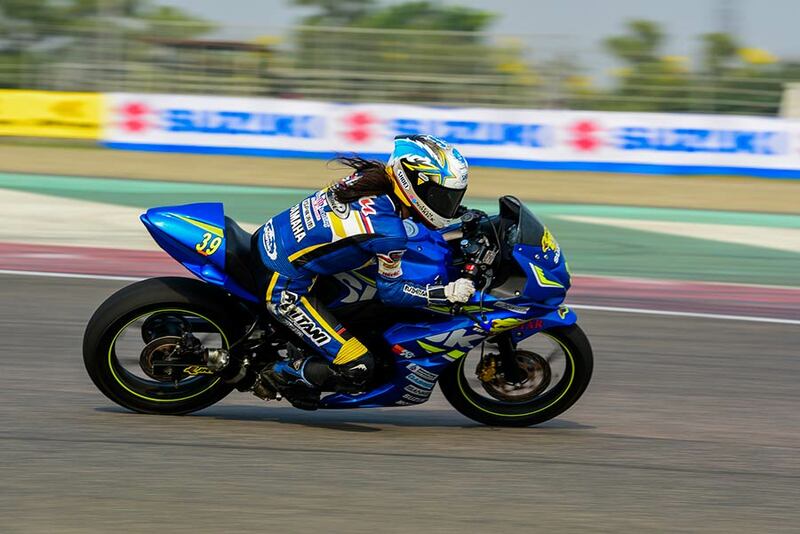 It was an exciting weekend of the wheel to wheel racing as the Suzuki Gixxer Cup Championship and the Asia Cup of Road Racing, under the aegis of FIM and FMSCI, in association with JK Tyre Motorsports, concluded today at the Buddh International Circuit (BIC). In the Suzuki Gixxer Cup, having entered the Round 4 with 56 out of a possible 60 points in the previous 3 rounds, Joseph reaped dividends of his previously consistent performances to stake claim to this year’s championship. Despite Sachin winning both the races at the Buddh International Circuit and collecting a 20-point haul, the 8-points earned by Joseph in Race 1 from a second-place finish ensured that he had the last laugh by wresting the championship from Sachin. Sachin had earlier won the Race 1 as well in just 17:30.116 minutes, ahead of Joseph by 0.321 seconds. However, it was his stunning victory in the final race that had made it a Sunday to remember for the audiences that had packed into the iconic Grand Stand. Clocking 17:28:492 minutes over his 6 laps; Sachin edged past Mumbai-boy Sanjeev Mhatre by just 2.903 seconds to romp home. In the process, he took the second spot in the 2017 Gixxer Cup Championship with a total tally of 49-points, while Malsawmdawngliana of Aizwal managed a third-place finish with 43 points. Aizwal’s Lalmawipuia, who finished the fifth today, ended the championship in fourth-place with 42 points. Sanjeev’s second-place finish at the final race allowed him to end the championship at the fifth-place with 32-points. In the Asia Cup Road Racing, racers are exposed to different environments, as they compete on unfamiliar tracks in the unfamiliar country on bikes they have never ridden before. The races are conducted in two-person teams where they pair-up with riders they normally battle within their national championships. Besides enabling them to test themselves against leading riders in other Asian countries the championship also provides the perfect grooming ground to prepare for their future international careers as they have to adapt to new languages, food and weather conditions while dealing with new racing challenges.